If you are ordering spark plugs, the number of choices on your parts screen has grown out of control. From choosing the manufacturer to the electrode design it can be very confusing when selecting the right plug for the customer. But, if you understand why the manufacturer specified a particular plug technology, you can pick the correct replacement plug. Some newer vehicles with high-performance engines are designed for copper spark plugs. Always make sure to consult the owner’s manual if there is a question as to which type of spark plug replacement is recommended. Platinum spark plugs were introduced in the mid-1980s and quickly gained favor for their heat-resistant and wear-resistant properties that allowed them to last upward of 100,000 miles in some instances, without needing replacement. Platinum plugs run hotter than copper plugs. This helps reduce deposits and prevents fouling. While these plugs offer high performance and a longer lifespan, they do come at a cost. 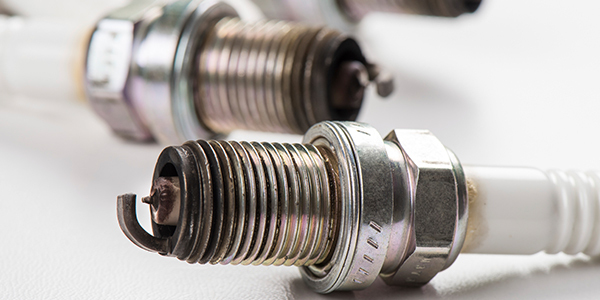 Typically, platinum spark plugs cost two to four times that of traditional plugs, but can offset the cost differential with their longevity. Use these plugs with newer cars that are equipped with electronic, distributor-based ignition systems. Some distributorless systems require these plugs, as well. Iridium spark plugs entered the market in the mid-1990s. Because iridium is one of the world’s hardest metals, it is very resistant to spark erosion. On these spark plugs, iridium properties reduce the ignition voltage requirement considerably and contribute to improving the spread of the flame front in the combustion chamber. 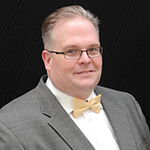 The service life of iridium plugs is double that of standard plugs, and can be up to 25 percent longer than that of platinum plugs. 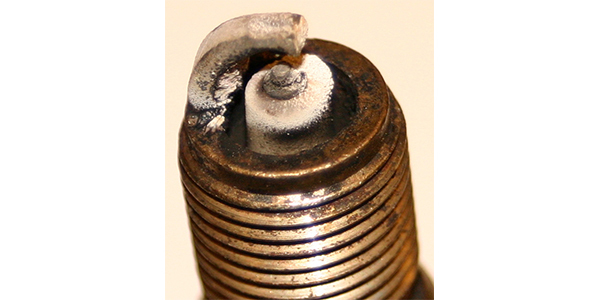 The latest precious material to make its way to the electrode of a replacement spark plug is Ruthenium that promises to last long and conduct the spark better than previous materials. Double platinum and double iridium spark plugs were developed for use in waste spark distributorless ignition systems. In these applications, both the center electrode and side electrode feature precious metal discs that allow sparks to move in both directions without prompting excessive electrode wear. 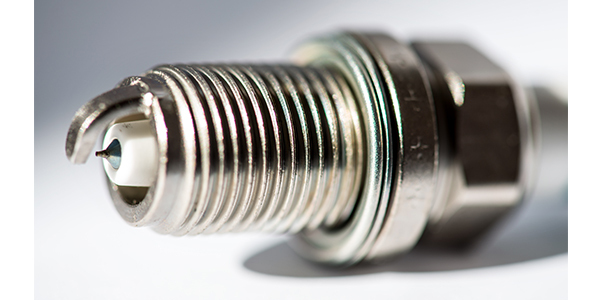 On the compression stroke in vehicles with these types of spark plugs, the spark shoots from the center electrode to the side electrode. Conversely, on the partner cylinder exhaust stroke, the spark shoots from the side electrode to the center electrode. 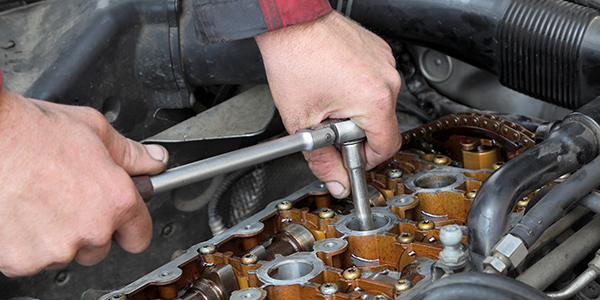 Factory-recommended spark plug replacement intervals have consistently been in the 100,000-120,000-mile range in recent years thanks to the efficiency of precious-metal plugs, but these spark plugs can still continue performing well long after these intervals have been reached. However, it is important to keep an eye on spark plug performance as they approach 100,000 miles of use. 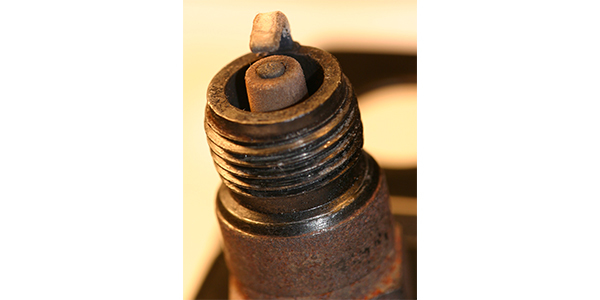 As electrodes wear over time, spark plugs require more voltage to fire. If this wear goes undetected, this strain can cause misfires. 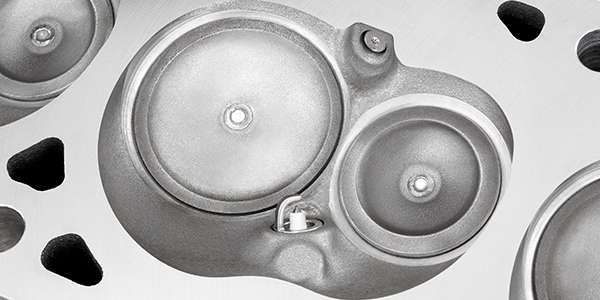 But, more manufacturers that are utilizing small displacement engines that have direct injection or turbocharging are actually rolling back spark plug replacement intervals to 35,000 to 40,000 miles, due to hotter temperatures and higher combustion pressures. The most important thing to remember when you are ordering spark plugs is to never downgrade. If a car came with a fine-wire platinum spark plug, the replacement plug needs to match the original specifications, even if the vehicle has 300,000 miles.